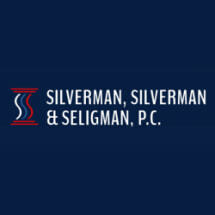 Silverman Law began practice as Silverman & Silverman in the 1940s. The firm's sole concentration was helping injured workers receive Workers' Compensation and Social Security Disability Insurance (SSDI) benefits. Today, we continue our commitment to representing injured people and recovering the benefits they need to heal and move forward with their lives. Because we have spent decades working with clients to resolve Worker's Comp claims, SSDI denials, veterans' benefits and long-term disability claims, we understand how frustrating these processes can be. Every day, we see first-hand how the paperwork, doctors appointments and payment delays affect our clients during an already difficult time. Depending on what caused your injury or illness, you may be eligible for compensation from more than one source. For example, some people are eligible for Social Security Disability Insurance, Workers' Comp and long-term disability. We can help you determine which benefits you qualify for and how to combine them for maximum coverage. In addition, our attorneys have attended tens of thousands of benefits hearings, giving us invaluable experience in advising clients whether to litigate or settle their claims. We have dedicated our careers to guiding people through the maze of the SSDI and Workers' Compensation processes. Our attorneys and friendly, knowledgeable staff are committed to helping you recover the compensation you are entitled to with minimum hassle.